POPRC-9 reconvened in plenary on Wednesday morning to hear reports from the working groups and continue its consideration of individual agenda items, including: the approach to the evaluation of chemicals in accordance with Annex E to the Stockholm Convention; rotation of membership; guidance on how to assess the possible impact of climate change on the work of the Committee; and coordination and collaboration with other scientific subsidiary bodies. In the morning, Estefânia Gastaldello Moreira (Brazil) reported that the PCP drafting group had made progress, and requested the group become a Friends of the Chair group to enable an incoming member to participate in the discussion. Peter Dawson (New Zealand) indicated that the decaBDE contact group reached agreement on chemical identity, persistence, adverse effects and LRET, but not bioaccumulation. Francisca Katagira (Tanzania) reported that the dicofol contact group had a “long discussion” of persistence, with particular focus on the various pH levels found in different bodies of water. In response to a request from a member, the group was asked to reconvene in the afternoon to review the criteria set out in Annex D, and then to convert into a drafting group to move forward on its work. Mohammed Khashashneh (Jordan) reported that the drafting group on the process for evaluation of PFOS, its salts and PFOSF had completed much of its work and agreed to assess the limited number of alternatives available for PFOS for acceptable uses. 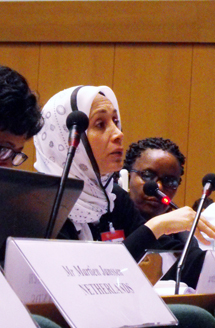 In the afternoon, the Committee elected Estefânia Gastaldello Moreira (Brazil) and Azhari Abdelbagi (Sudan) as Chair and Vice-Chair of the POPRC, respectively, effective 5 May 2014. All chairs reported on their progress indicating that they needed to reconvene to finalize their work. 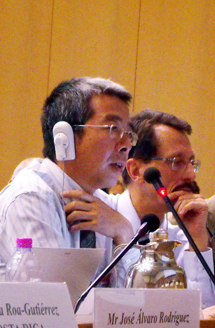 In addition, POPRC-9 adopted decisions on guidance on alternatives to PFOS, its salts, PFOSF and their related chemicals, and on guidance on how to assess the possible impact of climate change on the POPRC's work. The POPRC also decided to recommend the listing of chlorinated naphthalenes in Annexes A and C of the Stockholm Convention. 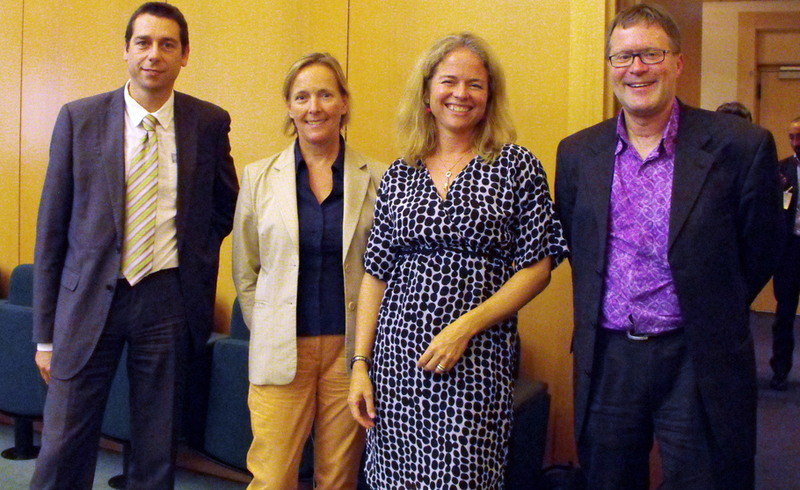 The three working groups, as well as a newly-formed Friends of the Chair group on the process for evaluation of PFOS, its salts and PFOSF, convened in the evening. 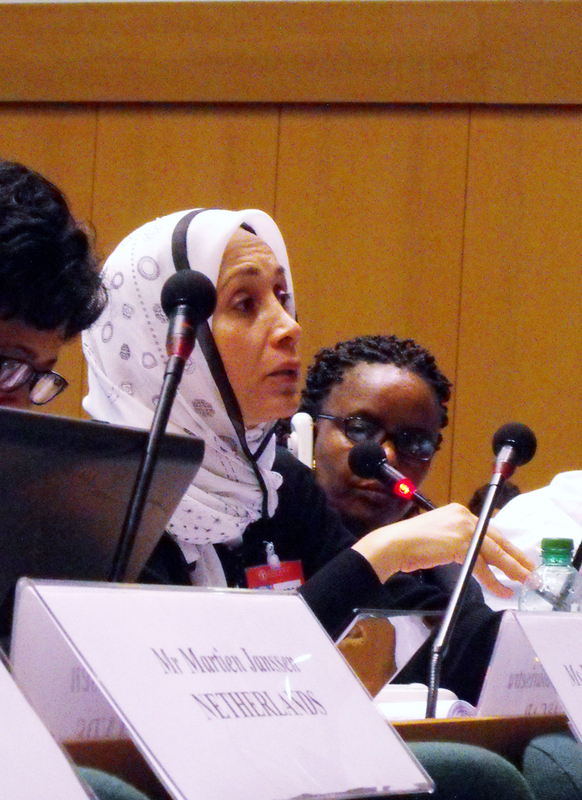 Lulwa Ali, Kuwait, intervenes during a discussion on the risk management evaluation of CNs. 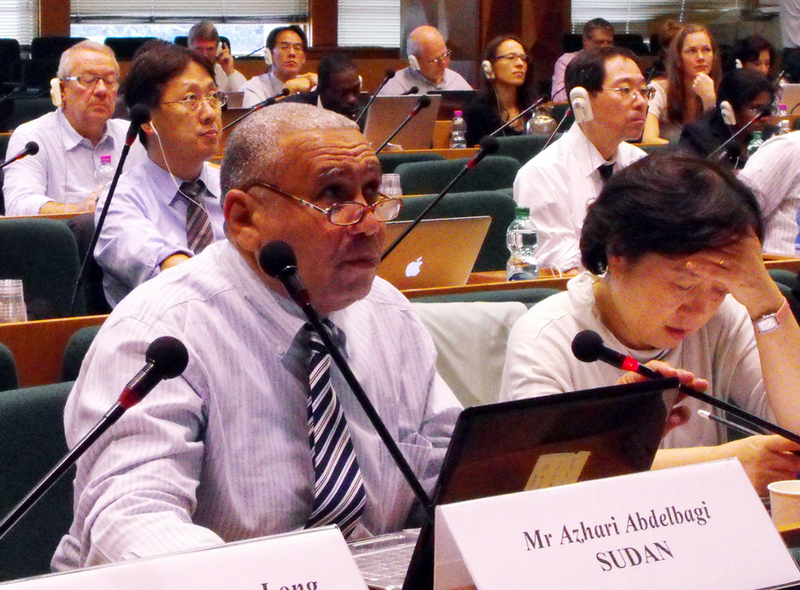 Azhari Abdelbagi, Sudan, presents the guidance on how to assess the possible impact of climate change on the Committee’s work. 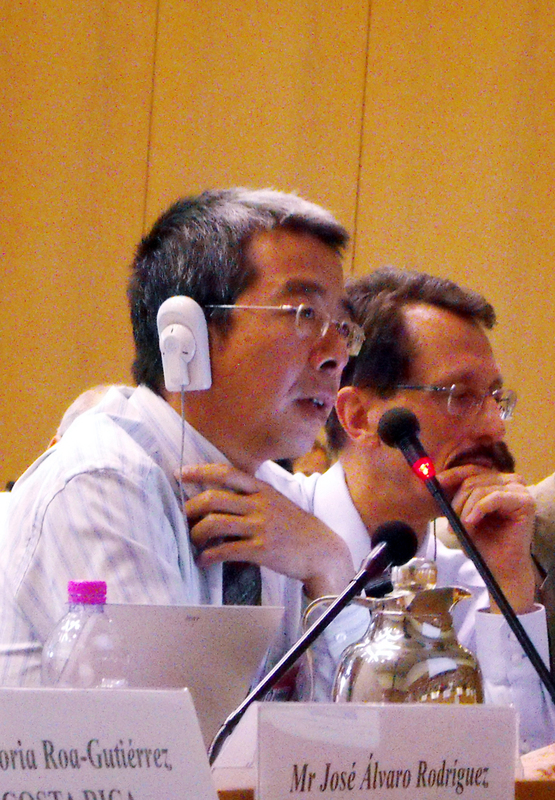 POPRC member Jianxin Hu, China, intervenes during a discussion on chlorinated naphthalenes. 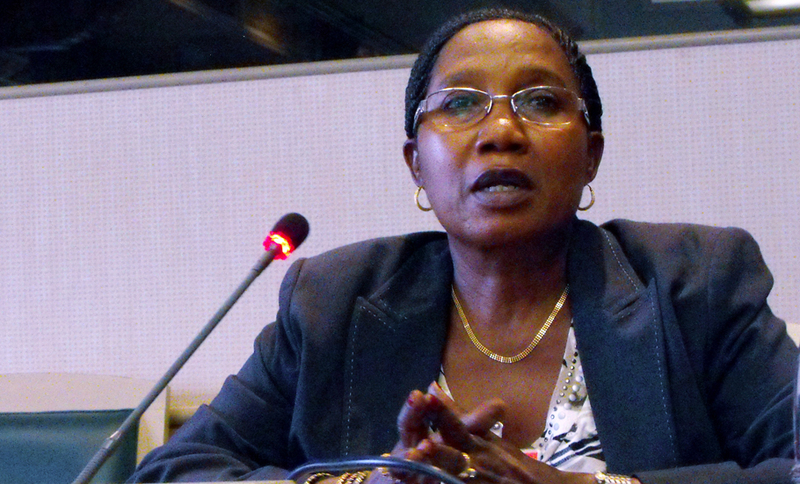 Fransisca Katagira, Tanzania, chairs the contact group on dicofol. L-R: POPRC members Mohammed Khashashneh, Jordan, and Masuru Kitano, Japan, prepare for the afternoon plenary. 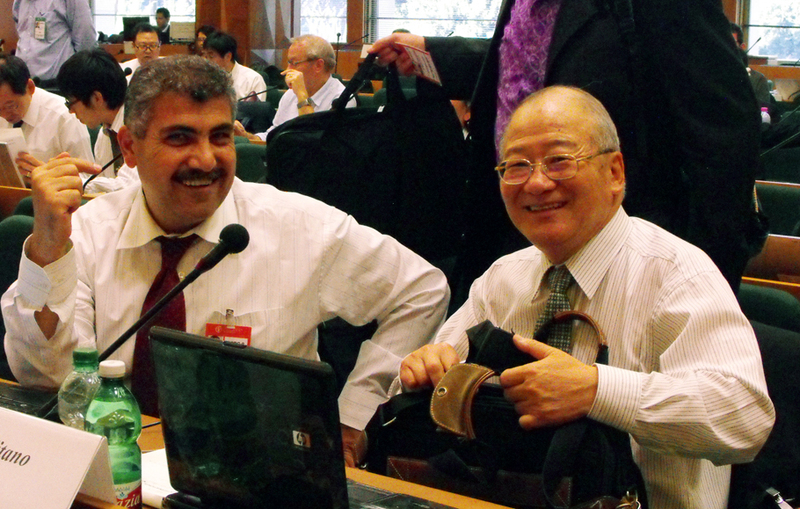 L-R: Mark Trewhitt, CropLife International, and Gary Fan, Australia, discuss dicofol during a break.